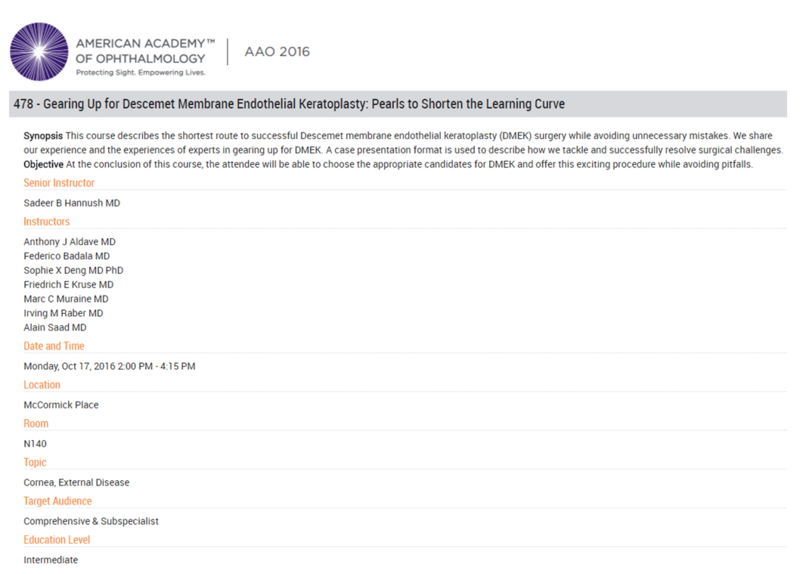 Chicago – October 2016: DMEK, the new corneal transplant without sutures presented by the maximum experts on the field during the American Academy of Ophthalmology annual meeting in Chicago from 14 to 18 October. 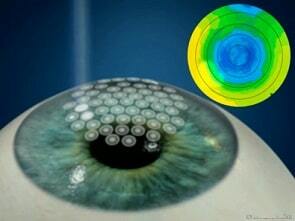 DMEK is the new corneal transplant for patients with cornea guttata, corneal edema and Fuch’s Dystrophy. 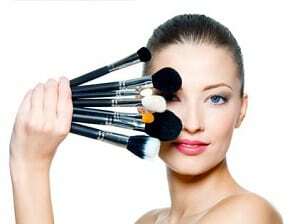 The procedure is performed under local anesthesia and it lasts approximately 1 hour. DMEK corneal transplant not requiring sutures has a very quick visual recovery: usually the patient regains normal vision in a few weeks/1-2 months. 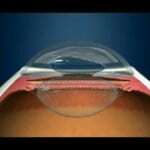 The procedure also has little chances of rejection since only the 1% of the cornea is transplanted. The other corneal transplant techniques, from DSAEK to traditional corneal transplant or perforating keratoplasty, consist in transplanting a larger portion of tissue; therefore, the risk of transplanted tissue’s rejection is very high. With DMEK, anti-rejection therapy is less intense and can be stopped after few months. The maximum experts on the field of corneal transplant meet in Chicago to discuss latest innovations in corneal surgery. Dr Badalà, who was the first performing DMEK in Milan in 2013, presents a novel approach to DMEK which makes it safer and more effective.